Aspen. 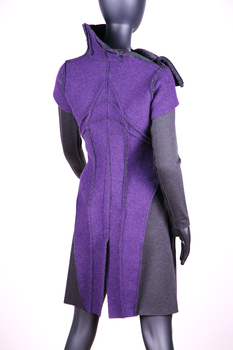 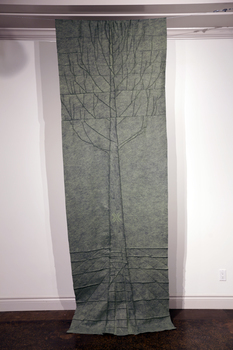 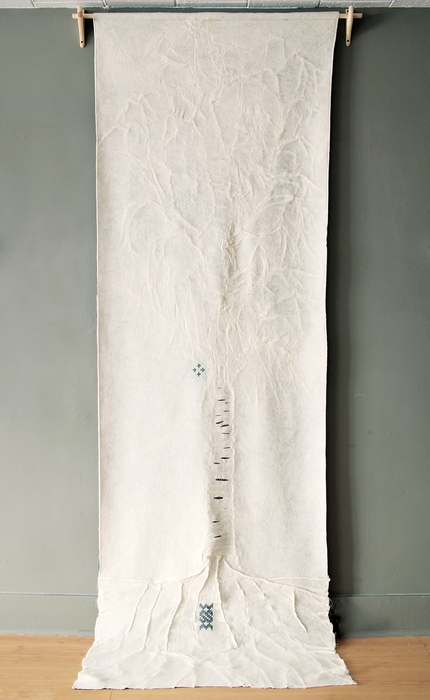 Drebule, 2014 Wool Felt, Cotton Thread 120 X 60"
Ash. 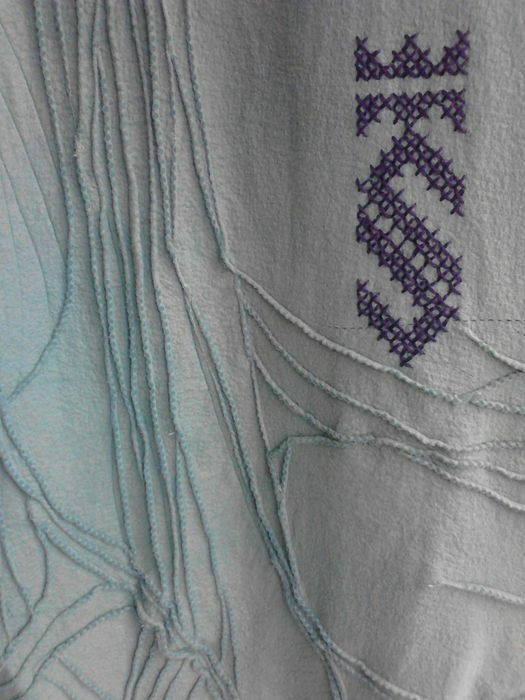 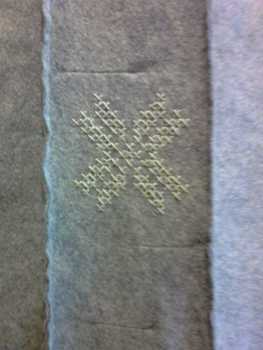 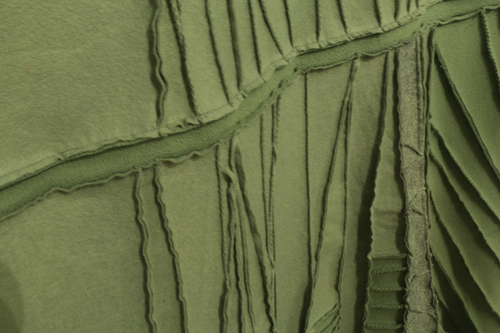 Uosis (detail), 2014 Wool Felt, Cotton Thread 120" X 44" X 0.5"
Old Oak. 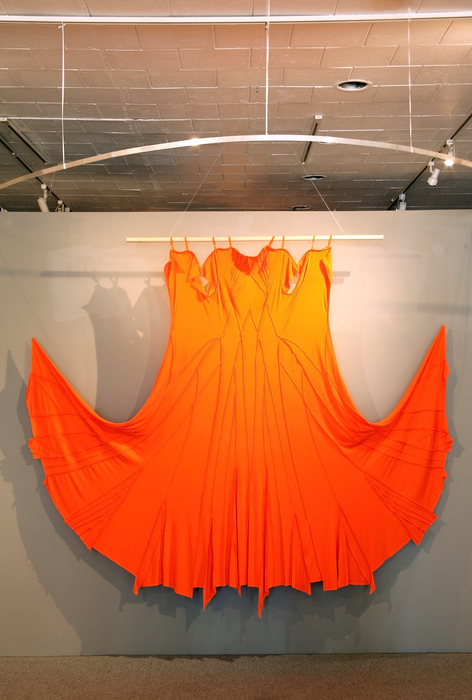 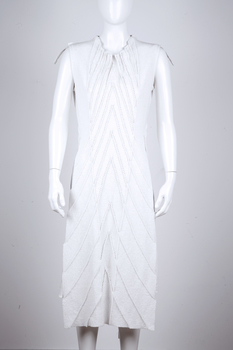 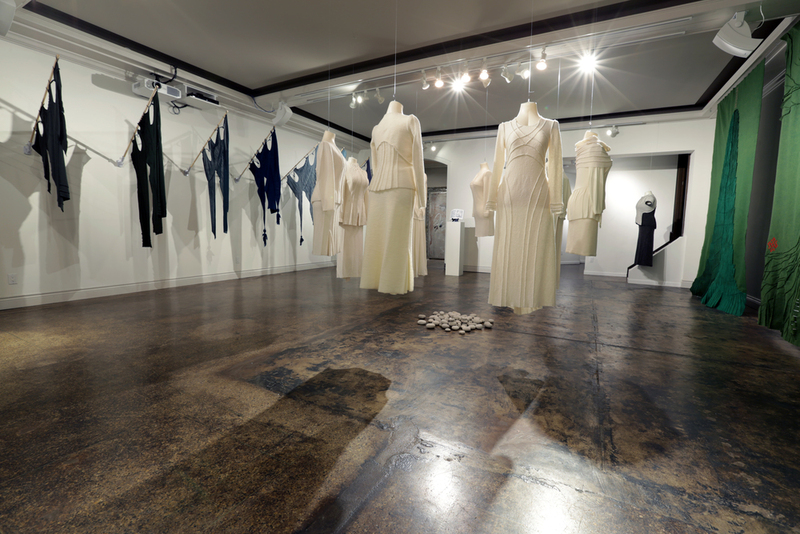 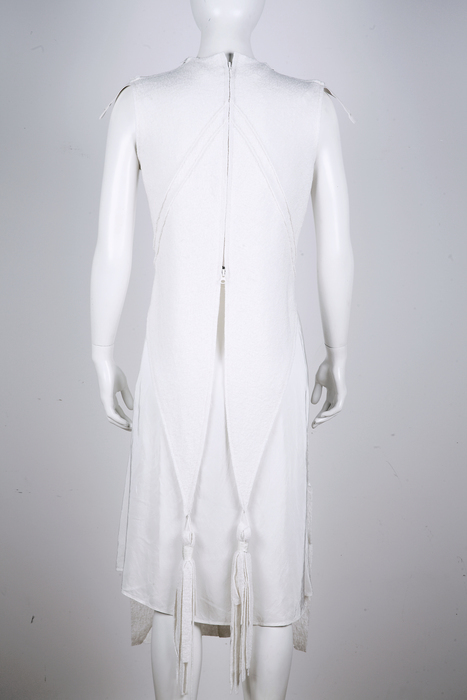 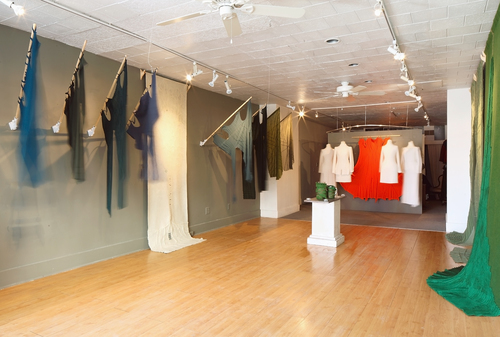 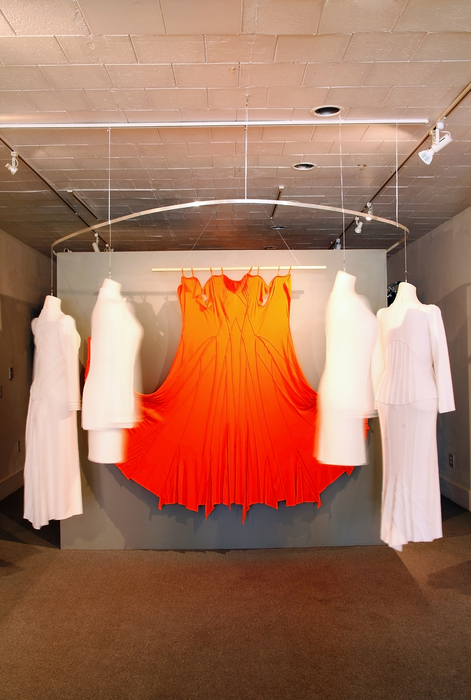 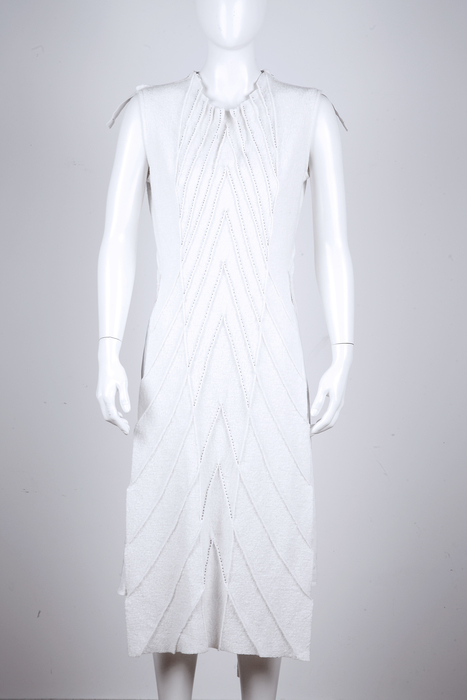 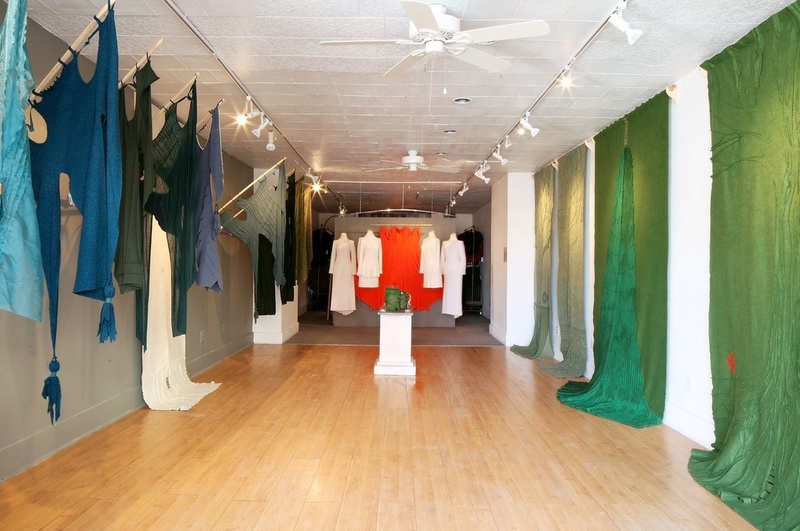 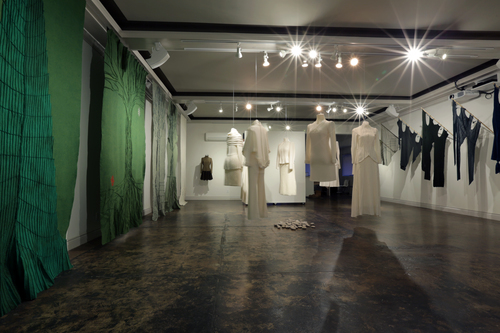 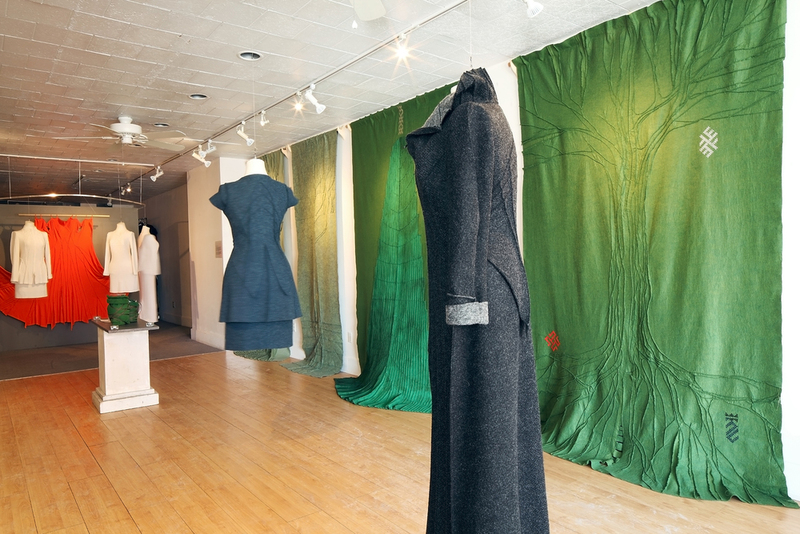 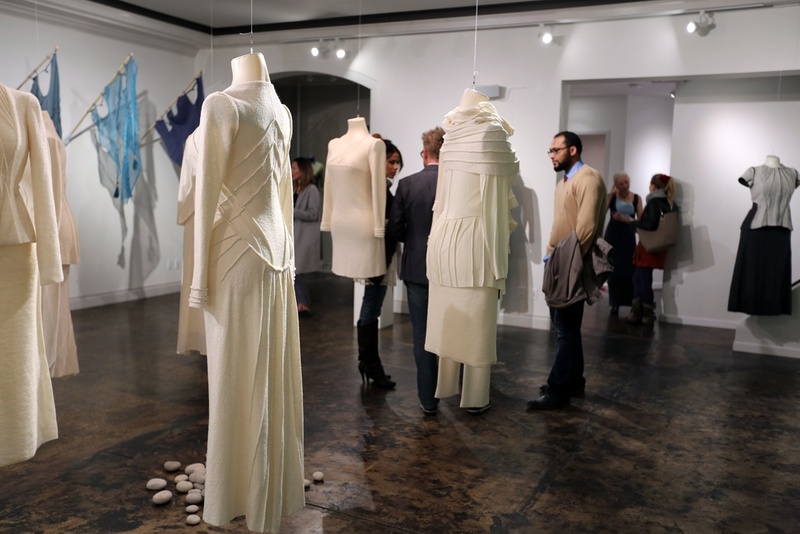 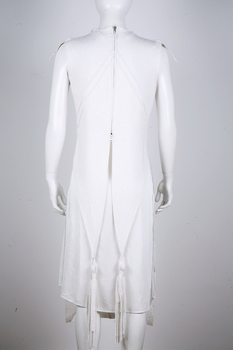 Senas Azuolas, 2014 Wool Felt, Cotton Thread 72" X 39" X 0.25"
Fire ritual circle, 2015 Installation Of Surface And Fashion Design 100" X 100"
Birch. 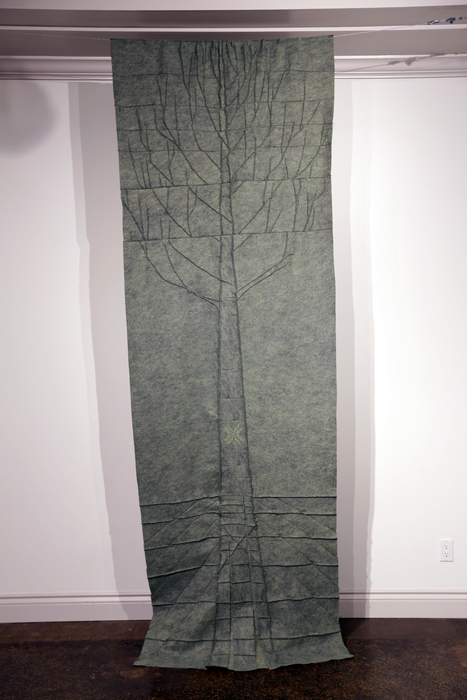 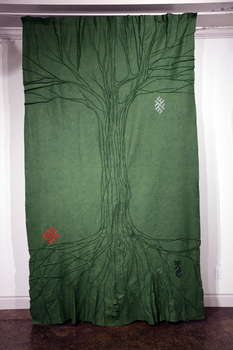 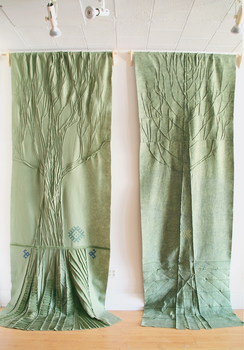 Berzas, 2014 Wool Felt, Cotton Thread 120" X 40" X 0.25"
Old Oak. 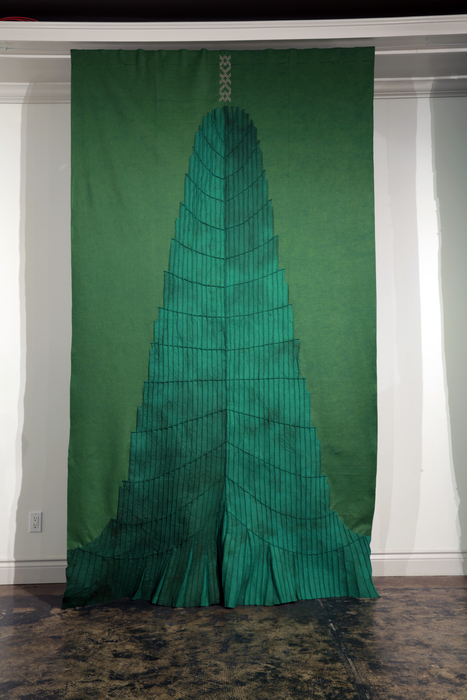 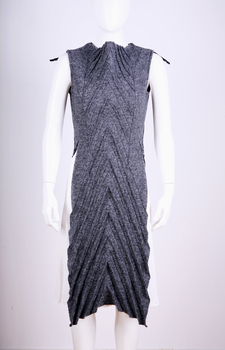 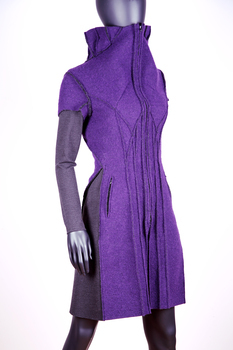 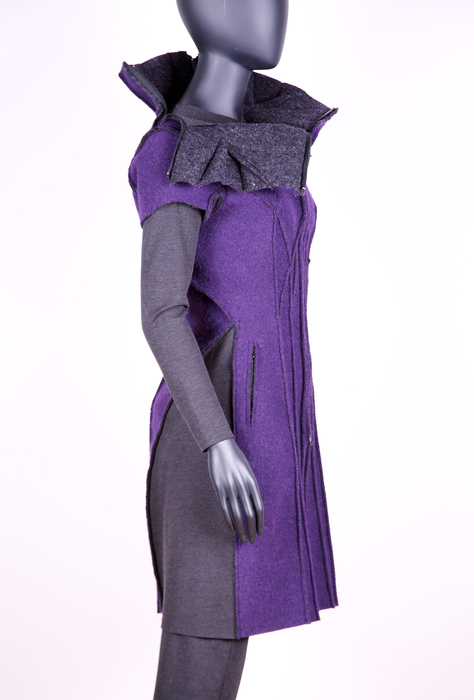 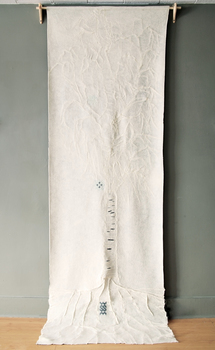 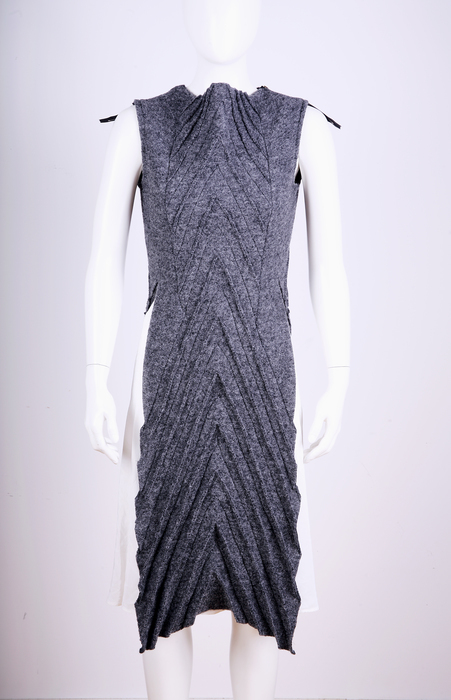 Senas Azuolas, 2014 Wool Felt, Cotton Thread 72" X 39"
Aspen. 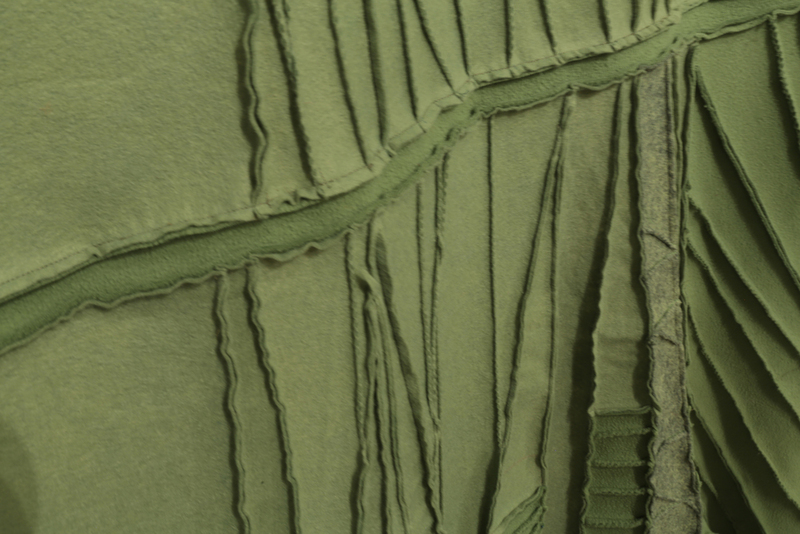 Drebule (detail), 2014 Wool Felt, Cotton Thread 120" X 39"
Vilma Mare is exploring contemporary culture through an installation involving a symbolic ceremony that recreates a time of connection and cleansing. 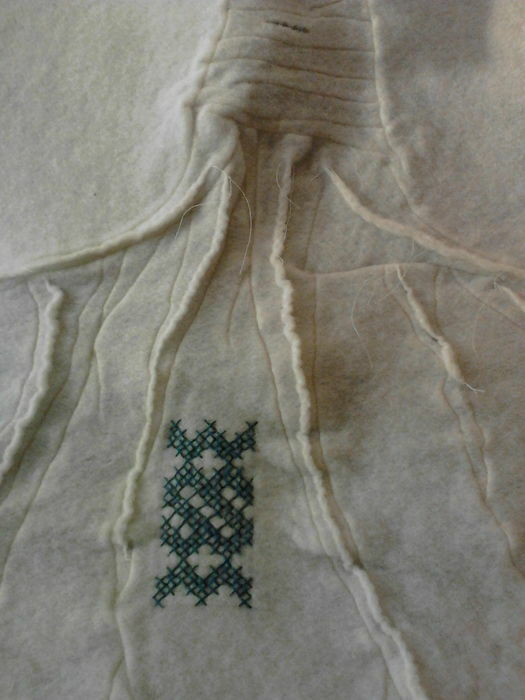 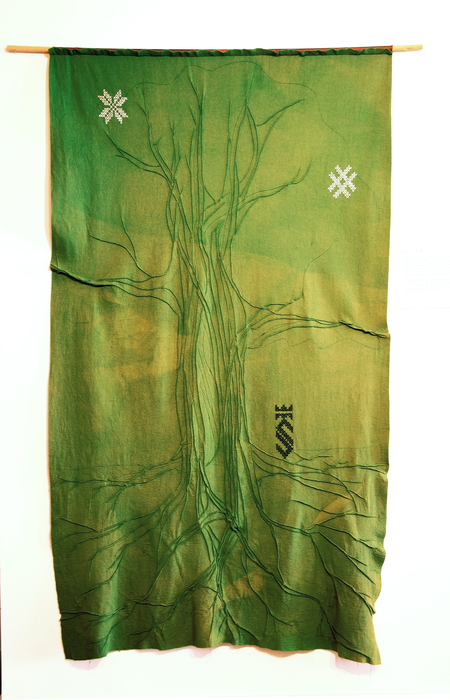 Egle (Spruce), a heroin from Baltic mythology, the 'Queen of Serpents' is a feminine image with hereditary connection to indigenous rites, worship of ancestral land and family values, and harmonious dialogue between Humankind and Nature. 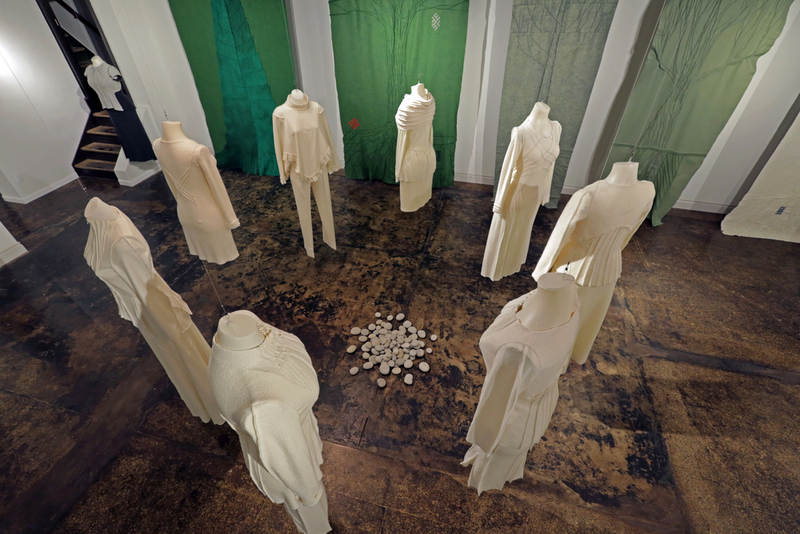 This story depicts an ancient ritual understood from a female perspective whereby Egle takes a central role as she becomes a mediator between "sacral" and "secular" spheres. 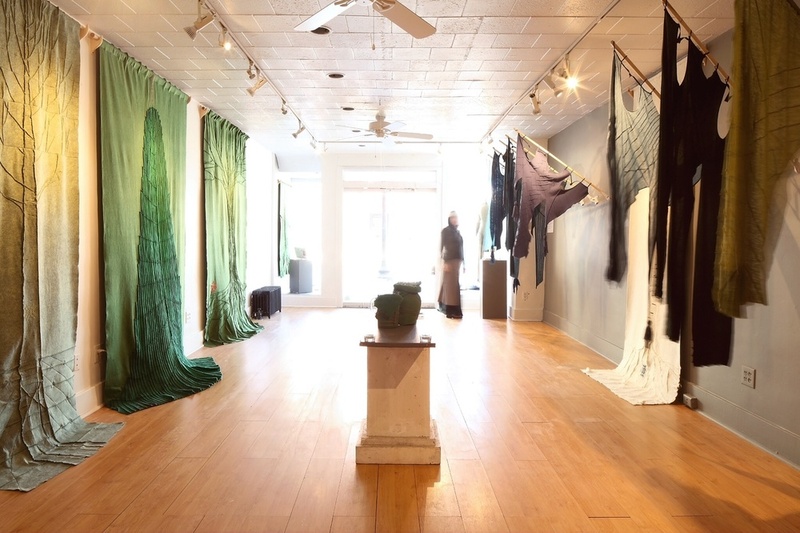 Vilma Mare's aim is to recognize still alive ethnic traits and conceptually propagate them as essential links to the lost spirited perception of the universe. Vilma attempts through her creativity to connect to the Origin. 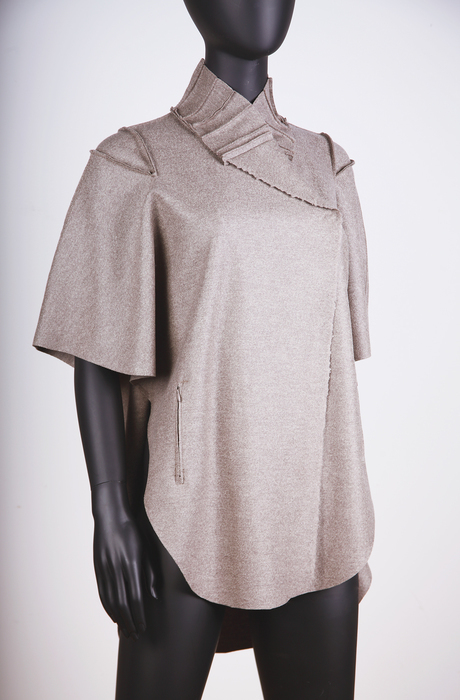 Vilma recognizes in contemporary oeuvre the need for the old world prudence which carried such connection.